Now that you’ve created a projects, it’s time to start collaborating with your team and really get the most out of BuildingBlok. The People tab is where you can organize all of your contacts in one place. There are 3 types of records that can be created: employees, workers, and contacts. Employees are users are part of your company and have been invited to use BuildingBlok. 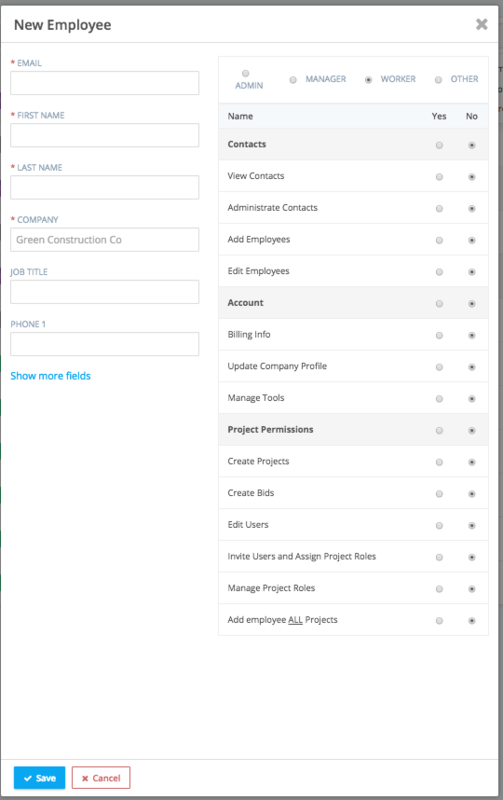 Workers are users that have been invited to use BuildingBlok for Timesheets tracking. An existing BuildingBlok user that is not linked to your company. A regular address book contact that is not linked to any user in BuildingBlok.